Five Nights At Freddy's, the popular jump scare PC game featuring various murderous possessed animatronics, is being developed into a movie by Blumhouse Productions, and it just might have Jamie Lee Curtis on board, who currently stars in the #1 movie at the box office with Halloween. IGN caught up with Jason Blum for an update on the movie who offers it will happen pretty soon. "There is a new script, which I haven't read yet, but Scott [Cawthon] is about to give us a new script, and it's moving full steam ahead, and there is not a day that goes by that we don't talk about some aspect of Five Nights At Freddy's and hopefully we'll make the movie pretty, pretty soon, I would say. I don't how soon, but pretty soon," Blum offered. Regarding Jamie Lee Curtis, Jason Blum reveals she is a huge fan of the game. "[She is a] huge fan. I just sent Scott this big thing that Jamie Lee signed. Scott Cathon came to see Halloween in Texas, Austin at Fantastic Fest, and he really liked it," Blum said. "Jamie and I did a Q&A afterwards, unfortunately he wasn't there, but she talked about her love of Five Nights At Freddy's." The interviewer then questions Blum asking if he thinks there could be a role for her in that movie, with Blum replying he hopes so. "I hope so. I'm thinking about it. I had the same thought as you did [laughs]," Blum said. 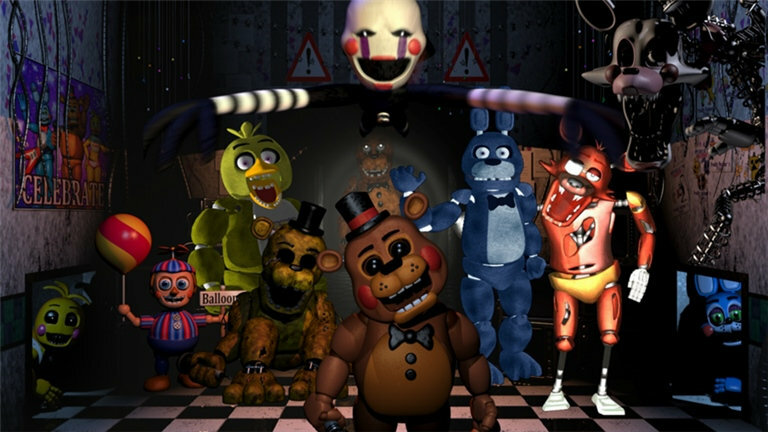 Five Nights At Freddy's has no release date or cast announced, but has director Chris Columbus currently attached.